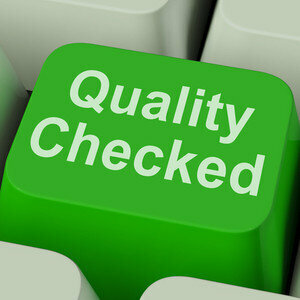 Quality is an important aspect of any business irrespective of which product or service you are marketing to the public. Quality control must be well intact throughout the entire production process. It is not just input management, process monitoring, and output delivery, but other aspects such as raw material flow, officers or workers involved in the production process and their safety as well. Quality Assurance Software by Harrington Group International will help you guarantee the quality of your product or service by taking all these aspects into consideration. With our Quality Assurance Software, you can now assess the conformance of the product with the quality standards set out. The quality of the product must be confirmed from the instance of obtaining the raw materials till the finished product reaches the consumer. Our solution helps you identify any defects in the product before it reaches the market. It has also been developed in such a way that it is capable of coming up with mechanisms to handle manufacturing defects. We have included a set of tools and equipment to pinpoint and eliminate quality control issues. Statistical data obtained is used to ensure the final product conforms to the necessary quality standards. It guarantees that your product meets the government regulations, which is a mandatory requirement. Moreover, your product is now ready for the ISO certification process to succeed. ISO certification is a huge competitive advantage for your product when contending with other such products in the market. Also, our solution undoubtedly ensures you’ll now receive fewer consumer complaints regarding any defects in your product. Quality Assurance Software is an integral part of any business to make sure that the necessary productivity and efficiency is incorporated into the production of your product so your business succeeds.